On New Year’s Day my wife and I drove two hours to the Hillsborough NC temple to attend a wedding reception for a new couple, Amala Harinam and Nadiya Mani Darling. Amala, who we have known for years, is the brother of a dear friend (Gaurangi Priya), and we are also close with their parents, so we really desired to go. The actual wedding took place a while back in England (since Nadiya is British), but they wanted to have something in the US for Amala’s friends who grew up with him, or have known him over the years. The previous day was a 12 hour kirtana. This was a fitting way to prepare for the reception since both husband and wife are accomplished kirtaneers. The reception turned out to be an event we were grateful to have attended. It consisted of a Temple arotik, a video condensing the 6 hour wedding into 45 minutes (yeah! ), a short talk, blessings and marital advice from the assembled devotees, a play, and dance--which was a fitting crescendo to the reception activities. After that a delicious feast was served which many in the wedding family labored hard to prepare. 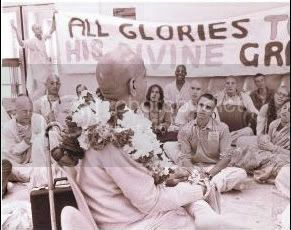 Thinking of how many of our second generation devotees (our children) are involved in a kirtan revival due to the popularity of kirtan in the Yoga world, I reflected that the Hare Krishna movement was birthed by profuse chanting of the holy name on streets throughout the world. Thus it would seem we are going full circle, though with a different flavor. The early days of Prabhupada’s movement were a time of low temple overheads, simplicity, natural humility, and a focus on chanting Hare Krishna in sankirtan (group chanting). I first encountered devotees when they were chanting in San Francisco at Market and Powell streets, which became known as the “Krishna corner.” Although I initially thought devotees were strange with their shaved heads and flowing robes, after my life transformed a few years later, I became attracted to the idea of becoming a monk in some tradition. I had embarked on a spiritual search for meaning and purpose. Dropping out of college, quitting my job, leaving my girlfriend, I gravitated toward simple living and high thinking. 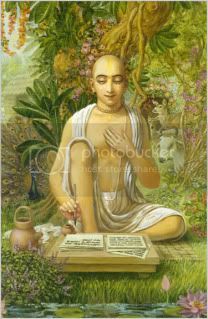 I gave away my few possessions, began sleeping on the floor, and became absorbed in studying various holy books. 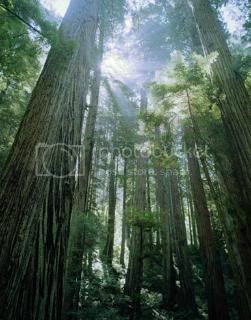 I frequently traveled to the redwood forest to be more secluded from modern culture, as this offered me an atmosphere I found helpful for thinking differently. Questions arose within me that I had never considered before. The search for answers to such questions as "Who am I? ", “What is the purpose of life?”, and “What is the best way to live to progress toward that purpose?” became the most important, and really only, quest of my life. Nothing else mattered beyond finding the answers to my existential crisis—not money, career, social position, relationships, etc. By my good fortune, facilitated by the counter-culture and my nature, I was able to put everything else on hold to follow my spiritual guidance. I remember coming back to the temple in the late afternoon, blissful, but so tired I ached from chanting all day. I was only 19, so I gradually became used to our schedule and loved to go out with the other devotees. 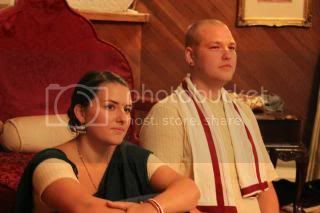 After sometime, we began going to San Francisco, to join the devotees from the S.F. Temple in chanting at the end of the play, “Hair,” and then going to the discotheque area, full of bars and clubs, until late at night. Although people were generous in giving donations and we were a bit of a sensation, we went to bed late and rose late as well. Gradually, Prabhupada put a stop to it, and we returned to going to bed early and rising for mangal arotik at 4:30AM. At this time, the Nectar of Devotion (Prabhupada’s summary study of Shrila Rupa Goswami Bhakti-rasamrita-sindhu), was sent to all temples, and we began to understand more of the philosophy and practices of Gaudiya Vaishnavism, or Krishna consciousness. While the holy name of Krishna still carried us as our main spiritual practice, we learned the importance of having a firm understanding of Gaudiya siddhanta, coming from the bhakti Vedic scriptures. 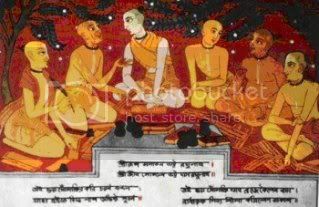 Such knowledge was first compiled by the six Goswami disciples of Shri Chaitanya and is the basis for everything we do. Shrila Prabhupada gave us entrance in this academy of our shastra (scriptural) gurus for the Krishna consciousness movement through his books and instructions. Every generation of devotees must understand the difference between the basic principles of spiritual life and the details to put them into practice. Such details must be adjusted to keep Krishna consciousness vital in the times the devotees live in. To me, Shri Chaitanya Himself has arranged for our youth to have a way to be absorbed in chanting the holy name in a way that works for them—and that they have chosen themselves. Any devotee has heard what they “should” do, but we all have to do so in way that works for us but still serves the purposes or principles of spiritual life. I have found that I have had to recommit or renegotiate my spiritual practices a number of times to make them my own, and insure I keep on the path for the long haul of my entire life. 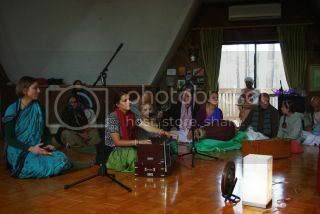 This same process is required for the next generation of devotees as well. The old guard of devotees may be threatened by this, and yet, the test of success for all devotees will be seen in their enthusiasm for sadhana, realizations, and spiritual advancement. By these fruits you will know them! Submitted by Karnamrita on Wed, 2013-01-09 09:33.